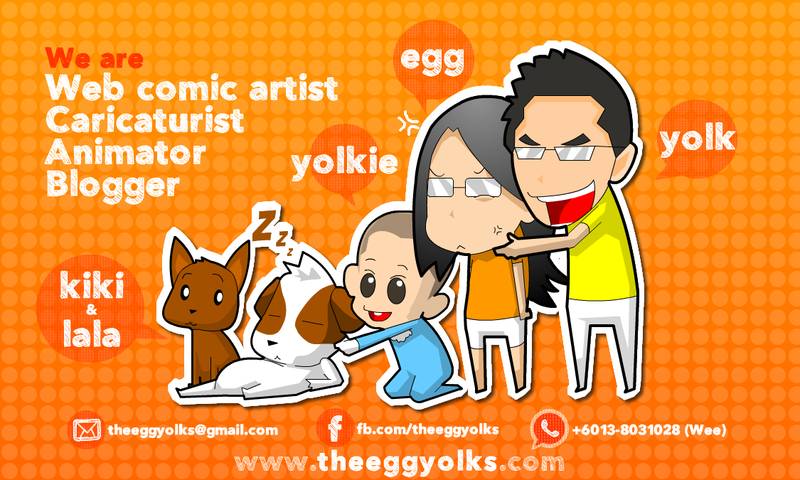 THEEGGYOLKS 蛋黃打点滴: Resort World Genting - What to SEE? To be honest, all these while when we visit Resort World Genting, we only visited the theme park area or the arcade area. We always thought that Resort World Genting is just a place for entertainment and not much for a sight seeing session.So, now's the question, what to see at Resort World Genting? After some survey online, I just realized that entertainment is just a fraction of Resort World Genting. There’s this hidden side of the resort which not much people have known of. (Maybe just us that didn’t know about this -_-“) Seriously, this is a very big DISCOVERY for me! 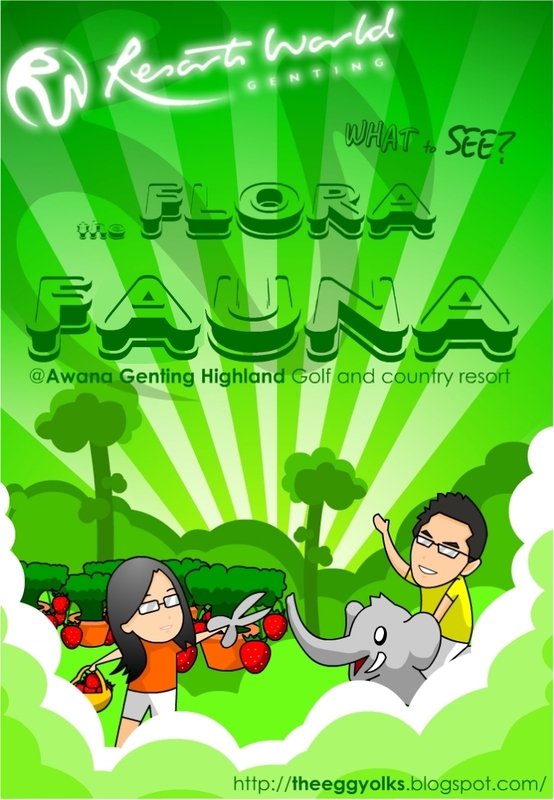 Introducing the Awana Genting Highland Golf and country resort! This is a hidden treasure right next to the theme park and it consists of a large reserved area filled with untouched rainforest. Wonder what does this awesome place has to offer? I bet you’ll be surprise when you see the list below! 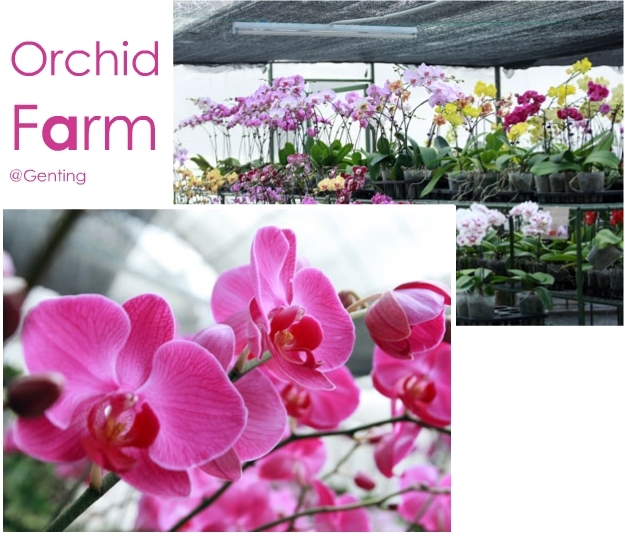 You can also visit the orchid and strawberry farm which is just a stone throw away. If you’re an orchid enthusiast, do look out for the rare grade A orchids which you rarely seen in town. 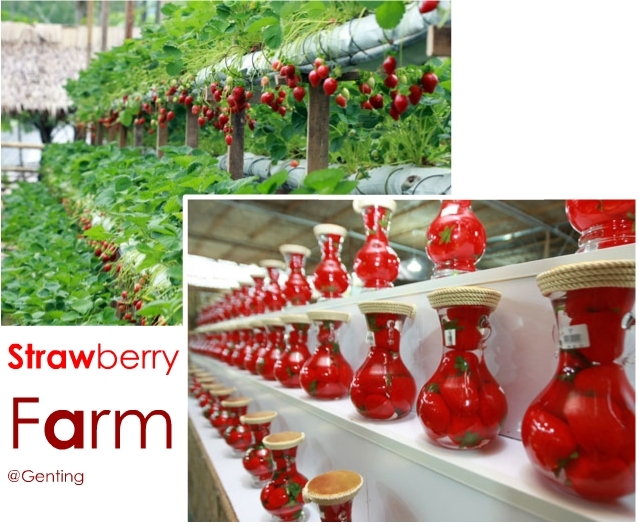 As for the strawberry farm, you’ll have the chance to pick your own strawberry right from the stem of the plant by using scissor and basket provided. Something that you must not miss is the products of fresh strawberry where you can get no where else but right in the farm such as strawberry milkshake, strawberry coffee, strawberry milk tea, strawberry fondue, strawberry pudding, strawberry cakes and many more. Have you ever heard that you can actually find deer, bears and even elephants in genting?!! I bet not!! Well, you can actually get a very close view with these mammals or even walk side by side with them and feed them some food during the walk. Just head to the deerland and elephant sanctuary to experience all these. 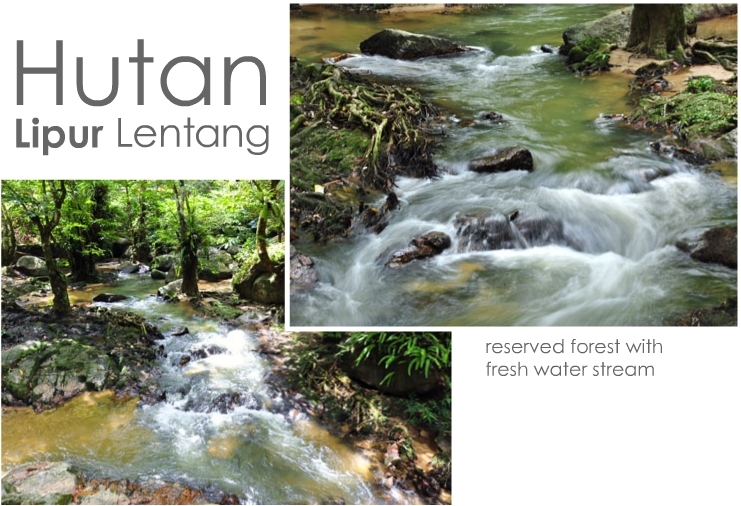 There’s also a forest area for picnics which is located just a short distance from Resort World Genting known as Hutan Lipur Lentang. You can organize a picnic session with you love ones and also enjoy the cool yet clean streams. This discovery has certainly change my impression of Resort World Genting! Now there're many thingsI've yet to see! I'm getting more excited to explore more about this wonderful resort!